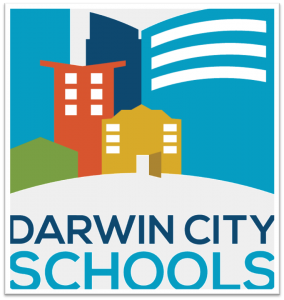 Ludmilla Primary School is a small, well resourced government primary school in Darwin. 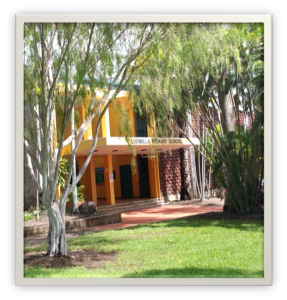 It was established in 1967, making it one of the oldest primary schools in the Territory. The school population is approximately 130, with classes from Preschool to Year 6. Ludmilla School is where students are known as individuals and they benefit from smaller groupings and intensive teaching. Our School Motto “Together we can achieve anything’, demonstrates our commitment to being a true community school built on an atmosphere where everyone belongs. Our student population comes from the local area, the Defence Forces and the Bagot Community. This gives our school a rich diversity of cultures. We are proud of our fine record of achievement at Ludmilla. Through our programs we aim to provide opportunities for each child to reach their full potential. Demonstrating resilience and creativity to adapt and contribute to a changing world. Caring for your friends like you care for your family. Never being left out, because we are all in the school together. Taking ownership of your actions and accepting the consequences. Ludmilla has a variety of programs tailored to meet the wide range of students enrolled in our school. Our Literacy and Numeracy classes are strongly focused on higher order thinking, problem solving and developing skills that are important in a child’s development and prepare them for their interaction with the wider world. In addition, at Ludmilla Primary School, we believe that healthy kids are active kids and that active kids are happy. As such, Ludmilla Primary School encourages our students to actively participate in all sporting events and activities available at the school. KidsMatter is an Australian mental health and well being initiative set in primary schools and early childhood education and care services. It’s unique because it brings together all the most important people in a child’s life – especially families! The Bluearth Foundation is a national not-for-profit organization whose focus is to increase the levels of physical activity amongst Australians, in particular school aged children. The key to the bluearth Approach and the reason it is so successful is the focus on the students’ experiences as a result of participating in each activity. The Bluearth coach seeks feedback from the students throughout the session drawing on their feelings, reaction and thoughts that resulted from their participation.